Happiness. Fulfillment. Success. Influence. Love. Can you really have it all and still enjoy the journey? Join Rachel O’Brien-Eddy and Dorothy Falkiewicz, COE & Founder of VIP Advertising and Promotions LLC, to find out how successful entrepreneurs are living life, loving life, and enjoying the journey! 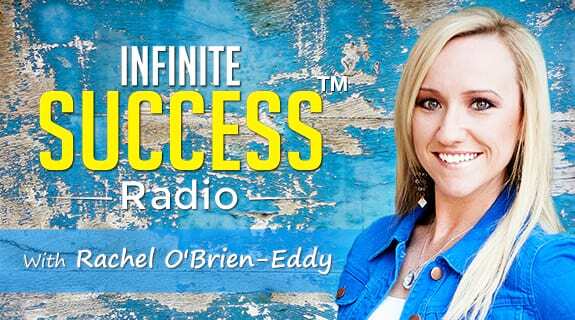 Discover the secret to creating your dream life, ideal career, and how to balance work and family this week on Infinite Success Radio. COE and Founder of VIP Advertising and Promotions LLC. Dorothy is a single mom of 3 boys. Entrepreneur, Life Coach with a passion for life and deep desire to help others. Her VIP Advertising Media Agency help businesses to grow their brand and have a positive social impact in the community. Main VIP Service include - PR, Events, Social Media and Brand Management.